In all sectors of the industry, research promotes innovation and quality. 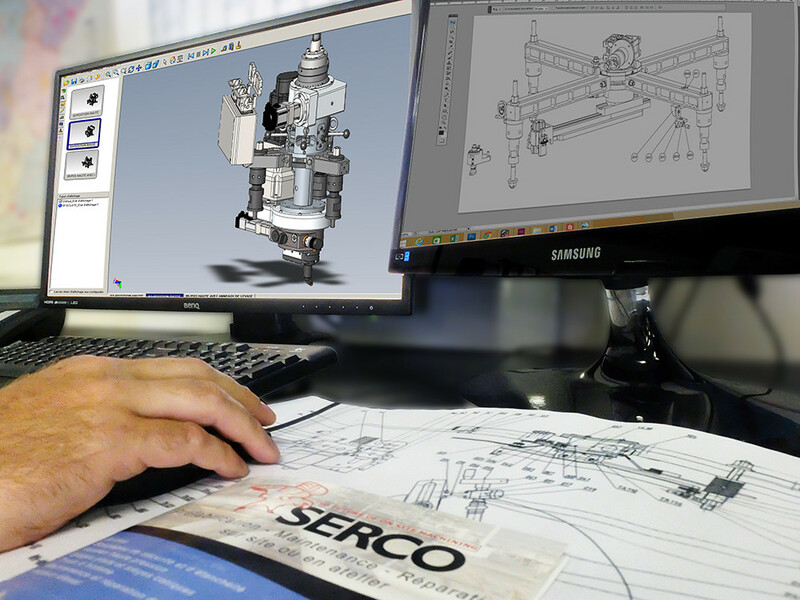 SERCO devotes a considerable part of its research and development to designing and developing equipment at the cutting edge of technology. SERCO can design and build special machines and systems that meet your individual specifications. SERCO specializes in making machine tools for machining flanges and valves. SERCO benefits from all the skills and know-how of its research and development department for meeting special requirements. Our engineers and technicians possess all the technical expertise needed to meet the requirements of nuclear power, oil & gas, chemical, petrochemical, defense, ship-building, high purity (including semi-conductors), food-processing, pharmaceutical and other industries. Our teams deal with your questions just as quickly as possible. They assist you with your projects with competence and professionalism. Our technical expertise and know-how enable us to offer you a suitable and rapid solution, perfectly in line with your requirements. Our teams are mobilized and make all their energy and experience available to our customers throughout the world. The word “excellence” signifies the very high quality of our achievements. SERCO: The choice of performance. Simplicity: Quick installation and ease-of-use. Safety: Machining is done under cold conditions and there are no exterior moving parts. Precision: Machining accuracy to 0.01mm. Possible surface finishes obtained: Between Ra 0.8 and RA 12.5 sometimes higher. Saves time: Productivity is increased by rapid, accurate set-up and optimized handling.